Book your transfer with Alpine Express Shuttle on our Airport Shuttle Bus service today! At Alpine Express Shuttle our Airport Shuttle Bus service is available for transfers between Montrose Airport, Wisconsin Airport, and 6 locations across United States. The Airport Shuttle Bus service aboard Alpine Express Shuttle is an affordable on-demand door-to-door shuttle service. Your vehicle will be shared with others and will make stops for passengers travelling nearby. Your pick-up and travel time is flexible and will be adjusted to suit all passengers travelling together while making sure everyone gets to their destination on time. Our Airport Shuttle Bus service is available 24 hours a day 7 days a week and can be booked up to 48 hours ahead of travel. At Alpine Express Shuttle we offer fixed transfer fares starting from $31.17 USD total one-way and with enough seat capacity for up to 10 passengers. Your final fare with us includes luggage allowance for 1 carry-on bag and 1 check-in bag per passenger. Also included in all our fares are airport parking fees, any tolls along the route and your drivers waiting time. 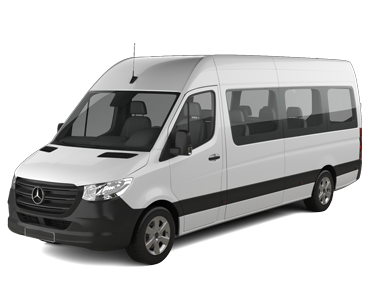 Alpine Express Shuttle is a transport company based in United States and we have been a professional transport supplier on Jayride since March 2017. You have selected a premier transportation company for your transfer requirements. We specialize in transportation to and from the Gunnison/Crested Butte Airport and the Montrose Airport to the Towns of Mt Crested Butte, Crested Butte, Gunnison and outlying areas. We offer shared ride airport shuttles and private charters for individuals and groups for the Gunnison/Montrose Airports and Crested Butte area. We have a fleet of modern well-maintained vans, shuttle buses, and a motor coach for your traveling convenience. Alpine Express is the only Colorado PUC authorized company to provide unrestricted call and demand limousine service between Gunnison Airport and Crested Butte for shared ride airport shuttles.